My name is Yohanis Mola Badiru and I am 15 years old. 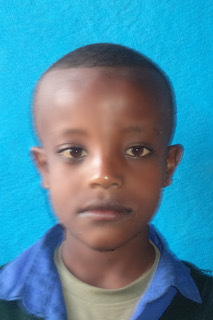 I live in Ethiopia and need your help. In a mud rental house in Alemtena, Ethiopia Yohanis lives with his parents. His father works as a day laborer and cannot afford to send his son to a high quality school on his income. Sponsorship would allow Yohanis to attend Alemtena Amanuel, and be part of the holistic development program there. A bright young boy, if he is given the resources to succeed there is no telling what he might do and who he might become! * indicates required. Note: If you would like to pay by debit or cheque, or would like to make payments quarterly/annually instead of monthly, please contact ICCM. Thank you for your generous support. You've just changed the life of an entire family!